There are a range of models in the Hino 300 Series to choose from at Orange Hino. 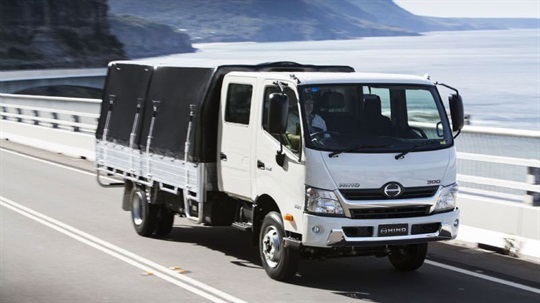 Hino Motors has sold more than 15,000 Hybrid commercial vehicles worldwide. The new generation Hino 300 Series Hybrid features the world’s first Hybrid diesel engine designed exclusively for a commercial vehicle, delivering cleaner, more efficient transport solutions. Since its local launch in 2007, the Hino Hybrid range of trucks has been the clear market leader in Hybrid commercial vehicle sales in Australia. Lower exhaust emissions mean cleaner air. By employing a diesel electric Hybrid system, using a Euro 5 & EVV compliant 4L diesel engine matched to an auxiliary electric motor that is emission-free, the Hino Hybrid drive system significantly reduces exhaust tailpipe emissions when compared to a conventional diesel-engined truck. 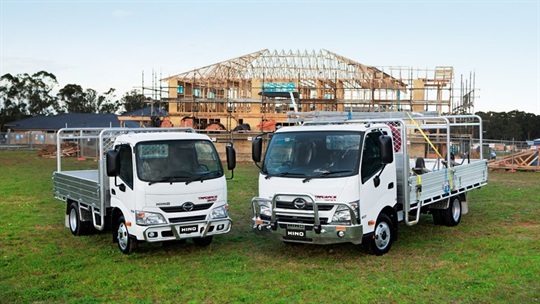 The Hino 300 Series Crew Cab range is the perfect truck for small work teams. It can comfortably seat 7 people (3 front, 4 rear) and offers a reliable, easy way of moving a work crew. 300 Series Crew Cabs are available in various engines, transmissions, tippers, chassis widths and wheelbases. The Crew Cab is the safest truck in its class offering - Vehicle Stability Control (VSC), Anti-Lock Braking System (ABS), Traction Control (TC) and Dual SRS air bag. This is the only truck in its class which offers VSC, a mandatory safety feature on all passenger vehicles, standing it out from the competition. The most powerful engines and a full automatic transmission option add a new performance dimension to the Hino 300 Series light duty truck range. 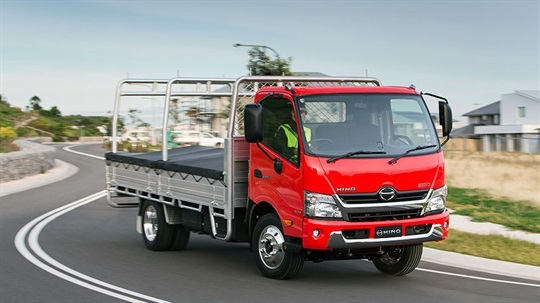 The addition of Hino’s powerful J05E 5.1-litre common-rail turbo-diesel engine together with an uprated chassis makes Australia’s safest and most comfortable light duty truck capable of carrying more. 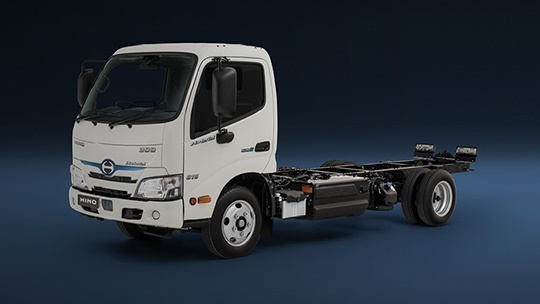 Eight models, including single and crew cab variants, and an array of bodies (including SteelAce and TradeAce) mean no matter what your light duty truck needs are, Hino has the right truck for your business.